Are you looking for convenient and secure boat storage near Douglas Lake with convenient access hours? Metro Self Storage offers exterior parking spaces for boats and RVs to meet your short or long-term boat storage in Knoxville. Our ideal location off of I-40 near Fountain City gives you quick access to popular water recreation destinations near Knoxville, Tennessee. 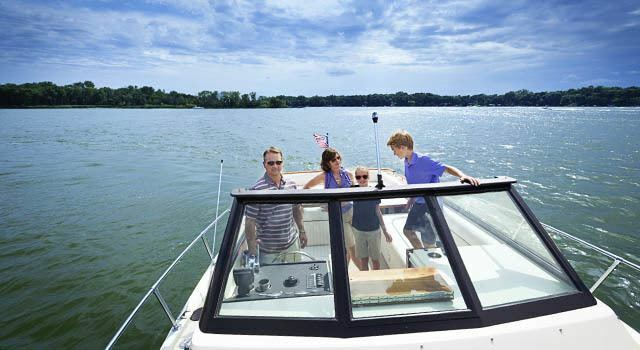 With flexible month-to-month leasing, you can choose your boat storage duration for as much or as little time as you want, whether you need winter boat storage or a place to park your boat and trailer between weekend trips and vacations. We know that worries tend to vanish when you are on a boating vacation, so we strive to make your boat storage experience just as worry-free. We invite you to reserve your space online or to contact us today to learn more about our Northeast Knoxville boat storage facility. Are you looking for boat storage near Cherokee Reservoir, Douglas Lake, and Norris Lake? Located on I-640, Metro Self Storage offers boat storage protected by a fully fenced perimeter, electronic gate access, and 24-hour security cameras. Our Knoxville storage facility is in close proximity to some of Tennessee’s most popular outdoor destinations for fishing, skiing, and boating.